God Knows Your Heart, But Do You Know His? The key to having intimacy with the Lord is to understand his kindness. That’s a statement the Rabbi at a Messianic congregation said in a two-part message called “The Mystery of Kindness” and “The Mystery of Chesed,” and I’ve been thinking about it quite a bit lately. Chesed is a Hebrew word for goodness, mercy, kindness, and faithfulness. It’s often translated “loving kindness” when used of God, and it’s one of the key attributes of His character. He is “Yahweh, a merciful and gracious God, slow to anger, and abundant in loving kindness and truth” (Ex. 34:6, WEB). This sort of kindness is something God wants to be known for because it’s a core part of His being. As Christians, we’re supposed to develop His character in us as we “put on Christ” (Rom. 13:14; Gal. 3:27). In order to become like Him, we need to understand who He truly is and that includes an understanding of His chesed. God knows our hearts even better than we know ourselves. He has “searched me and known me.” He knows when I sit down and when I stand up. He knows all my thoughts, my ways, and my words (Ps. 139:1-4). And He knows all of you that way as well because He searches the depths of our hearts. God can see and understand us thoroughly all the time. He knows everyone on earth that way. But there are some people that He also knows in a closer, more personal way. He calls those people His friends. If we want to be friends of God a change is required in our hearts. We have to become like God to know God. The Lord described King David as “a man after my heart, who will do all my will” (Acts 13:22, WEB). He’s one of the examples given in scripture for us to look to and learn how to have a heart like God’s heart. One of the ways that David’s God-like heart showed up was in his kindness. Even though Saul persecuted David, David still respected his position as king and mourned when Saul died. And instead of punishing those who honored Saul with a proper burial, the new king commended them for their kindness and showed kindness to them in return. He didn’t stop there either. After locating Jonathan’s son Mephibosheth, David had him brought to the palace. David showed this sort of kindness — chesed — because he’d learned it first-hand from God. He’s the one who wrote, “loving kindness shall follow me all the days of my life,” which we talked about a couple weeks ago. Since it was such a big part of David’s faith, Yahweh’s loving kindness is a frequent theme in his psalms. The Lord even showed kindness to David after he committed adultery and murder (2 Sam. 11:1-12:13; Ps. 51:1). The Law demanded a death penalty for both those sins, but in this case the Lawgiver decided to show kindness the same way He would in the future as Jesus Christ. The Lord knew that David, as a man after God’s own heart, would repent and change if given the opportunity. David got to taste the Lord’s gracious kindness even before Messiah came to earth (Ps. 34:8; 1 Pet. 2:3-4). David’s son Solomon also recognized the importance of chesed. He wrote, “The merciful man does good to his own soul” and, “He who follows after righteousness and kindness finds life, righteousness, and honor” (Prov. 11:17; 21:2, WEB). Not only does being kind mean we’ll be good to others, but it is also good for us as well. 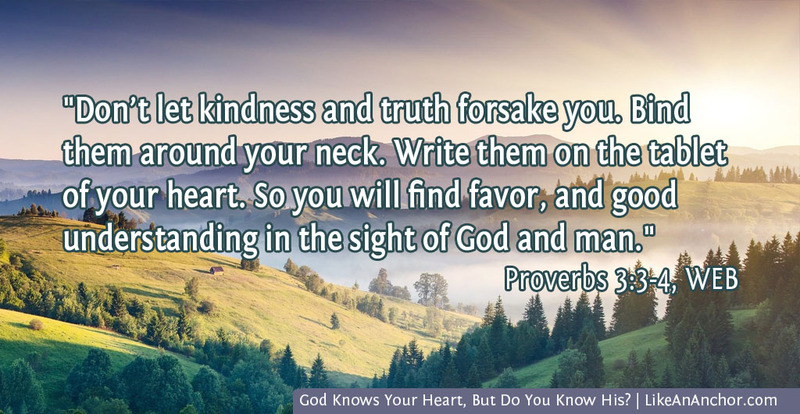 We need to have kindness written in our hearts to make our hearts like God’s. This happens when the Spirit of God dwells in us. 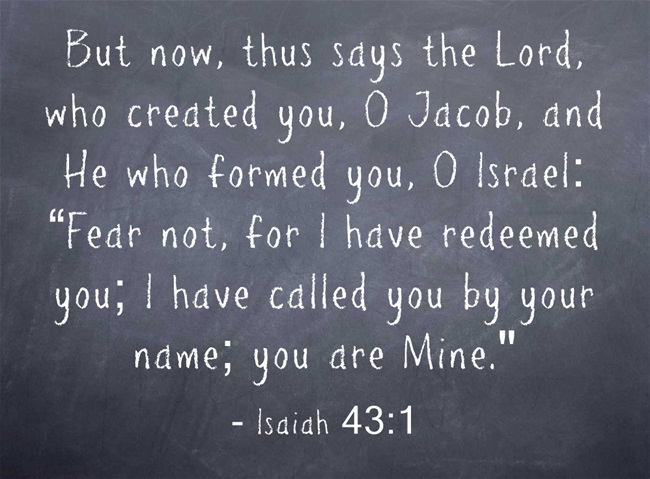 God reveals Himself through His spirit (1 Cor. 2:6-16). That’s how He shares His heart and mind with us, and transforms our hearts and minds to be like His. Our “fleshiness” can get in the way of this if we’d let it, but we don’t have to. Walking in the spirit is a choice that God, in His kindness, empowers us to make. We can know Him intimately and learn His kindness just as David did. 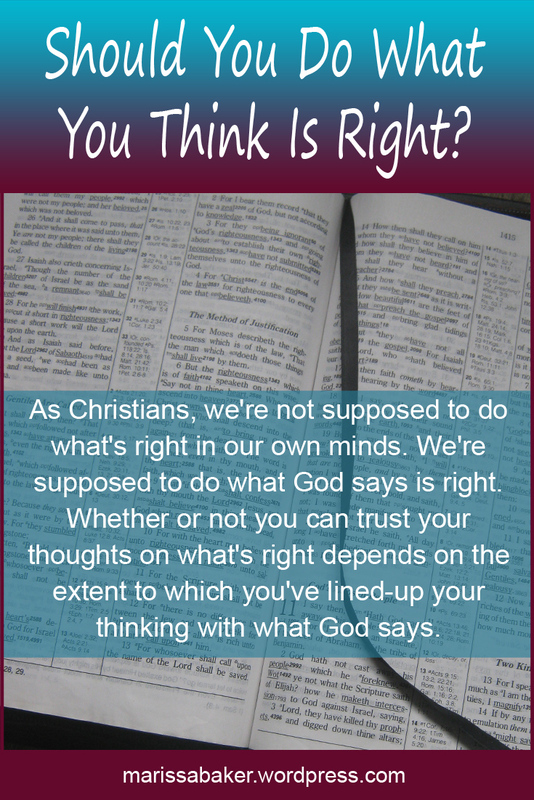 Should You Do What You Think Is Right? Those are the kinds of self-affirming advice we often hear. The basic argument is that most of us are pretty good people and if we listen really closely to our inner guiding light, then we’ll make good decisions. Not necessarily. While the holy spirit is transforming us to “have the mind of Christ,” we’re not all the way there yet. That’s one reason why it’s so important to spend time studying scripture — to make sure we know how God thinks and line-up with Him. When God made the choice to destroy everyone but Noah and his family in a flood, He did so after seeing “that every imagination of the thoughts of man’s heart was continually only evil” (Gen. 6:5, WEB). Even though we are made in God’s image, every single person has sinned and we’re corrupted by the fallen world we live in. And yet even in this state, human’s tend to trust that they know what’s right. But we’re often very wrong. Jesus told us “The first of all the commandments is: ‘Hear, O Israel, the Lord our God, the Lord is one. 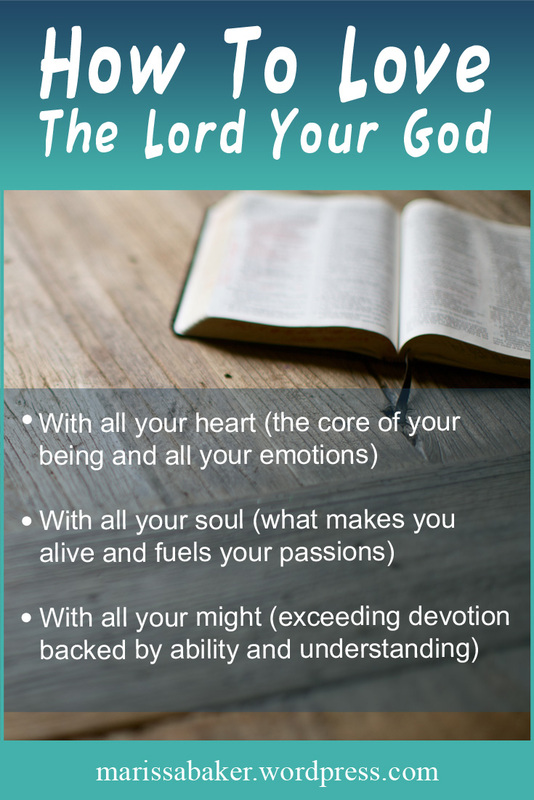 And you shall love the Lord your God with all your heart, with all your soul, with all your mind, and with all your strength.’ This is the first commandment” (Mark. 12:29-30). Even though this commandment forms the basis of all other commands and is most important for us to remember and obey, it can also be easy to overlook. It sounds so simple: “Love God, check. Yup. I’m good.” But Jesus went into more detail than just “love God.” He started out by reminding us Yahweh is echad. He is united, preeminent, and the only one worthy of the title Lord. With that reminder in place, Jesus goes on to quote an Old Testament passage telling us how to love God. The way we should love our Lord isn’t left up to our imagination or emotions. We’re told what we’re supposed to do. 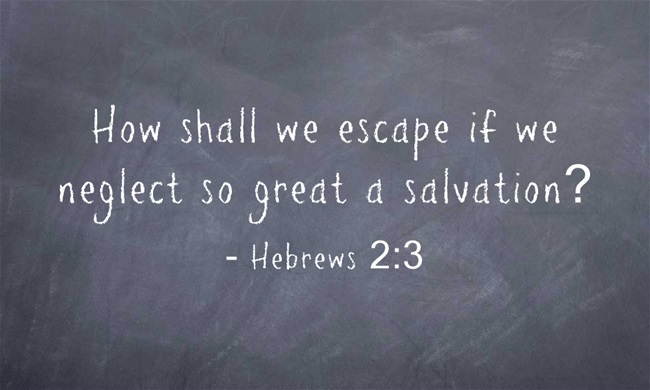 The notion that we could lose our salvation is not a popular one among Christians. It is far more comfortable to believe that God will welcome us back with open arms no matter what we do. And yes, we do see that God rejoices over repentant sinners (Luke 15:4-7) and welcomes back prodigal children (Luke 15:11-32). We have all sinned and we’ve all been “justified freely by His grace through the redemption that is in Christ Jesus” (Rom. 3:24). Though we are not suddenly incapable of sin once we receive grace, the direction of our lives must be moving away from sin. 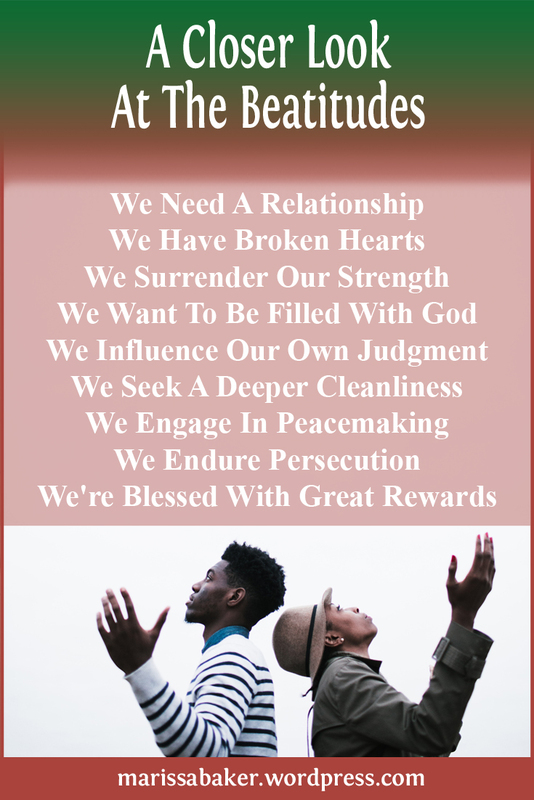 God’s love covers a multitude of slips and stumbles on our walk with Him, but our hearts must change so we can learn to practice righteousness instead of sinfulness. We could talk about this in theory indefinitely, but let’s go to an example instead. We all know about King David, the “man after God’s own heart” who was so faithful that God promised to establish his kingdom forever (1 Kings 9:5), even including him in the genealogy of Messiah (Matt. 1:1). David is an example to a man who sinned, sincerely repented, and received grace so he could continue to walk with God. He was even forgiven for what we think of as Really Big Sins, like committing adultery and then murdering the woman’s husband. But before David, there was a king who did not measure up. Saul was offered the same promise made to David — that his kingdom would be established forever. He could have been in the line of Messiah. He could have been David, but he lost that opportunity. This happened after Saul’s first sin at Gilgal, when he stepped out of line by offering a sacrifice that could only be offered by a priest. On the surface, that doesn’t look as serious as David’s sins, but at it’s core there was a much bigger issue. Saul’s heart was not obedient, and he didn’t change. In fact, he just kept getting worse. Saul’s second sin at Gilgal was also one of direct disobedience. He was ordered to “utterly destroy” Amalek, but he thought it would be a good idea to spare the king of Amalek’s life and save some of the best livestock. Compounding sin upon sin, Saul insisted that he had “performed the commandment of the Lord” (1 Sam. 15:13). When he was confronted about his disobedience, he kept back-peddling and blaming everyone but himself, insisting he was actually doing what was right because he intended to sacrifice the livestock to God. This is in stark contrast with David’s attitude after being confronted with his sins (2 Sam. 12:7-14; Ps. 51:1-19). Saul was rejected because he thought he had a better idea for how to conduct himself than God did. He rejected the leadership of God, and so God said, “I greatly regret that I have set up Saul as king, for he has turned back from following Me, and has not performed My commandments” (1 Sam. 15:11). Jesus told us that if we love Him, we will keep His commandments (John 14:15). The love comes first — what God is chiefly concerned with is having a relationship with us, like He had with David. 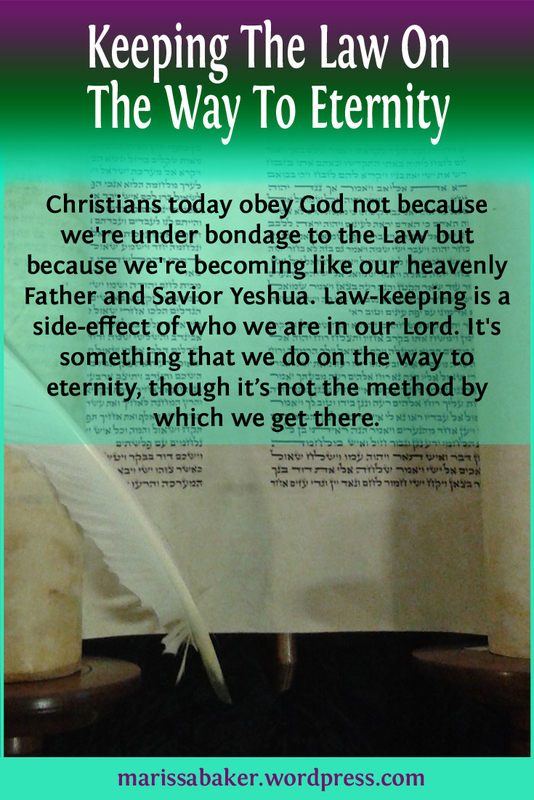 But obedience is also essential, and that is something Saul lacked. This is one reason why fellowship and friendship with other believers is so important. We help keep each other on-track and encourage each other to never give up. God gives us these people to help save us. The good news is that this doesn’t have to happen. God is committed to pursuing a real, life-giving relationship with each one of us. He doesn’t just sit around twiddling His thumbs waiting for people to wander towards Him. He is constantly working to develop real relationships that save lives. God gives us every opportunity to come to Him. We are precious in His sight, and He is pursuing our hearts in the greatest romance ever told (Is. 43:1-7). If we do lose our salvation, it will be because we turned away from Him and walked away, not because He gave up on us.